President Donald Trump’s firing of FBI Director James Comey on Tuesday is one of the biggest scandals yet to rock his administration. Which means another thing the late-night hosts can weave into comic gold. 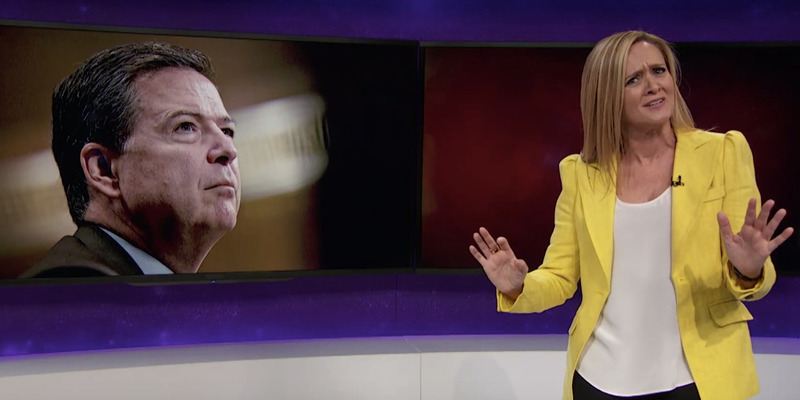 And Samantha Bee did just that on Wednesday’s “Full Frontal” when she recapped how the firing went down and what she described as the “clusterf—” that ensued. “As of yesterday afternoon, the only FBI drama most Americans expected to unfold on TV were the upcoming seasons of ‘Twin Peaks’ and ‘The X-Files,'” Bee joked.